Heavenly wedding venues with chapels in Amsterdam are costing the earth. Providing the ideal traditional setting for a modern couple, these authentic wedding spots are in high demand. But, are you keen to have a church marriage service in the heart of the city? Well, combining the luxury of old- fashioned ambiance with your future nuptials makes your wedding experience special. And you are guaranteed that the entire proceedings will be personal, beautiful and exclusive. Not only that, you don’t have to worry about the order of service wording or any communication roadblocks. Moreover, a lot of Dutch pastors speak plain English. And he/she is happy to conduct your ceremony in the language that represents you both. So, tell me do you like the sound of getting married in a church in Amsterdam? Or are you keen to know more about the secret wedding venues with chapels dotted around the outskirts of the city? Yes! Keep reading…. Firstly, Petruskerk has been an established institution since 1992. And built around the 15th century, the Protestant church is a prominent foundation. 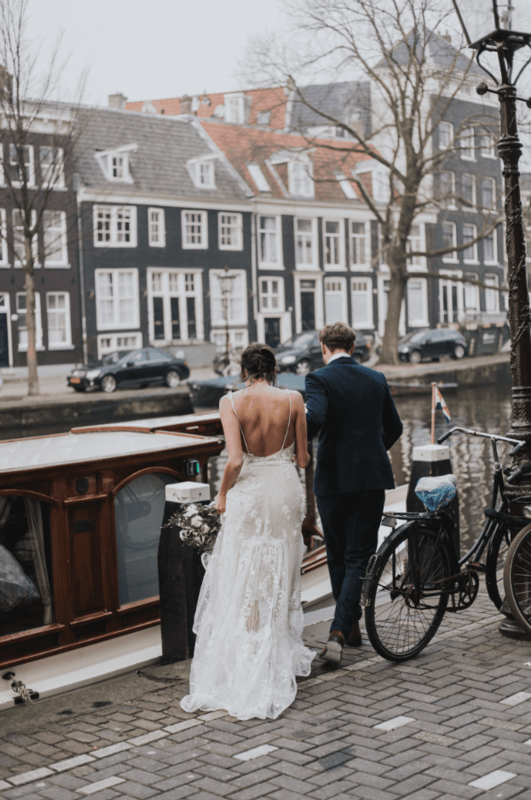 Situated on the banks of the spaarndammerdijk, steps away from Westerpark, this magnificent spot lends itself perfectly for your wedding clip. Housed in the “village” Oud-Sloterdijk the clips of your significant moments will look great. And guess what? Married at the historical site were the grandparents of Vincent van Gogh. So, you too can arrange your wedding, before or after your civil ceremony or church celebration. Find out more at www.oudsloterdijk.nl. Situated near Amsterdam The Amstelkerk is a small idyllic church for your wedding. Set between the finest garden and breathtaking lakeside, this rich architecture and décor is ideal for traditional wedding celebrations. What’s more, the historic building is an exclusive place for future brides and grooms to celebrate their marriage in the presence of the lord. Amstelkerk also have an adjoining venue and function rooms to host your night time celebrations. Go to amstelkerk for help with the planning stages of your service. Dedicated to Saint Martin of Tours, this Gothic church called the Domkerk, provides an idyllic space for a sumptuous marriage service. Another point of interest is, this cathedral opens it’s doors to your unique event. In the heart of Utrecht city, it’s the perfect wedding setting for your beautiful bright colourful confetti welcome. The church rolls out the red carpet for English speaking couples who wish to celebrate their special day there. For information,www.domkerk.nl. 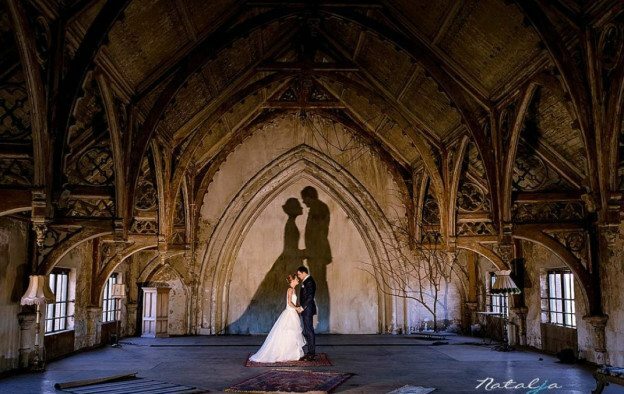 In addition Montfoort Castle is an exciting wedding venue complete with an adjacent chapel. Situated in a quaint Dutch village surrounded by a luscious park and gardens, it oozes sophistication. This is one of the loveliest castles in Holland and a grand place to have a fairytale wedding. The long-established castle has a delightful, authentic ambiance and boasts a modern interior. A minute’s walk away is the enchanting wedding chapel, the Commanderije of Sint-Jan, a dream location for your big day. Here are the details of www.kasteel-montfoort.nl/weddings. Additionally, situated opposite the Renaissance Amsterdam hotel you’ll find the towering Koepelkerk. And nominated as the best wedding location in the Netherlands, it truly deserves this recognition. It is a striking piece of architecture. The 17th century domed church with silver stars of constellations is captivating. What’s more, the alluring style of this 5-star monument fits your chic ceremony. With a remarkable Koepelroom, Bätz organ, chandelier and ornamented arched ceiling, there is no grandiose place for your wedding. Find out more at the Koepelkerk. Finally, the Metaal Kathedraal (Cathedral) is a redundant church. They ensure you marry in style by setting your wedding scene in splendor. And this modern industrial looking site turns into a romantic fairy-like location. The ambient neo gothic cathedral steeped in history is based in the heart of South Holland. There are several function areas available indoors as well as outdoors, for organizing your wedding photo shoot, ceremony, dinner and party. You’ll have an unforgettable heavenly wedding. Contact Metaal Kathedraal (Cathedral) to prepare your big day event.